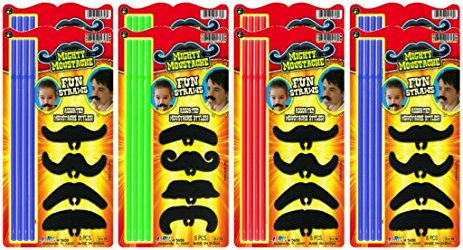 Now you can sip in style with Mighty Moustache Fun Straws! Makes a great party favor at your next birthday party or event! Comes with 8 assorted bags per bundle!